The 17th biannual Vitrum is taking place this week at the Rho Fiera Milano in Milan, Italy. Hegla of Germany is among those companies focusing on entry into new fabrication markets at more cost-efficient levels, and has begun offering a cost-effective cutting line. 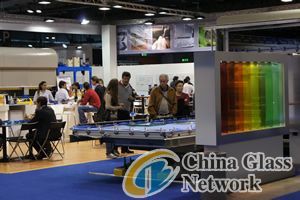 At the glasstec 2010 event, the company launched its Galactic float glass cutting table, which features an electro-magnetic linear drive and a high precision non-contact positioning system. "We've rearranged the Galactic line a bit," explained Hegla representative Joachim Knoll. That means there is now a basic version available, and the option introduced last fall, which is able to work at a rate of up to 13 meters per second, is now marketed as Galactic Plus. Other machinery manufacturers, however, are not following the low-cost trend. "The problem in the United States is not the price, because they pay," said Francesco Nicotera of KeraGlass in Italy. 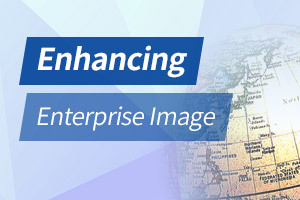 What U.S. customers seek is "excellence." Nicotera said he's found that U.S. customers want to see machinery in action before considering a purchase. "They want to see every screw, everything," he joked. KeraGlass, which offers customizable tempering and laminated lines, was founded in 1994 and tried shortly thereafter to break into the U.S. market. "We left the U.S. for a couple years," Nicoterra said, but the company is now looking to open a rep office in California, as they are seeing growth and demand in the American West and Southwest, and now have knowledge of how to serve these "demanding" customers. He noted that U.S. fabricators want a technician available the second they run into a problem, and expect immediate customer assistance, which his company is only too happy to provide. Glaston in Finland is offering a little of both of these options with its many launches at this year's Vitrum. While its new Hiyon series of straight line edgers might not be for entry level fabricators, per se, the machine's use a very basic operating system that "means the customer does not need anymore the highly skilled operators," as Marino Ferrarese, director of the pre-processing product line, explained. The XtraEdge, double-edger, first in the series, has amped up automation but reduced control panels - down to one, which can be operated remotely via tablet or iPad - every function except for "start." While the machinery offerings are geared for simple automation, the company also has launched a number of service plans intended to improve the customer's experience. "We wanted to make ourselves more valuable to the daily operations of a glass company," said Arto Metsanen, chief executive officer. "If something's broken down - you're late. The customer has already lost valuable time that he won't get back." The company is focusing on preventive maintenance, beginning with its Warranty5 for these pre-processing lines. The warranty goes beyond the standard one year guarantee, and requires that the machinery owner purchase parts from Glaston and follow the company's maintenance program. It "shows we believe in our machines, we believe in our products," Metsanen said. Vitrum continues through Saturday. Stay tuned to USGNN.com all this week for more news on the machinery being spotlighted here in Milan.